•	Next-gen channels: Will AR, VR and voice finally live up to the hype? •	Brewdog bets on paid content: Would you pay to view a (really good) video ad? View our top picks below or see our full Content Marketing coverage here. When it comes to Instagram, it seems brands are still playing it safe with ‘posts’ rather than creating ‘Stories’- and this could be a big mistake. 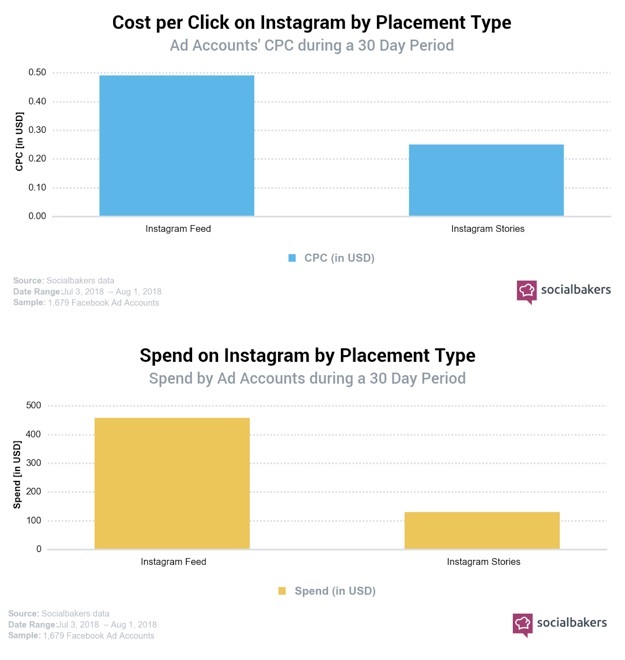 Socialbakers has found that marketers are investing four times less on Instagram Stories than, despite Stories being half the price of posts on a CPC basis. While posts that are consumed passively (they just appear in users’ news feeds), Stories are consumed actively. When we look at engagement on an absolute level, Instagram has a lot more engagement for brands than Facebook, despite having a significantly smaller audience size. It’s a creative dilemma. Do you film your mobile content in vertical or horizontal format? Now YouTube is letting you have both. The new vertical video ads now available for TrueView and Universal App campaigns that will ‘seamlessly adapt’ to horizontal and vertical formats depending on how the viewer is holding the phone. Car manufacturer Hyundai has already successfully tested the format for the launch of the new SUV Hyundai KONA: Vertical video ads increased brand awareness by 33% and Consideration by nearly 12%. Facebook has launched its much-anticipated video streaming platform ‘Facebook Watch’ worldwide, after an initial launch in the US last year. 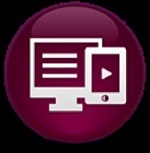 It includes a novel ‘Ad Breaks’ scheme that lets the best uploaders monetise their platform with video ads. Facebook has said it expects to spend up to $2bn (£1.55bn) to produce content for Facebook Watch. In comparison, Netflix expects to spend $8bn (£6.21bn) on producing original content in 2018, while Amazon Prime spent $4.5bn (£3.49bn) in 2017. To sign up for the “Ad Breaks” service, content creators will need 10,000 followers or to generate more than 30,000 one-minute views per month – and Facebook will collect 45% of all of the revenues generated by these advertisements. Influencer marketing has become big business in recent years, particularly in reaching a younger audience, but one YouTuber looks set to bridge the demographic divide by taking part in primetime TV show ‘Strictly’ on the BBC. Joe Sugg, YouTuber and social media influencer, has generated a lot of pre-competition buzz. While Sugg may not be known by the show’s regular audience, his connection with a younger demographic, who will surely follow his journey on the show, makes his appearance a real coup for the BBC. Going by the name ThatcherJoe on YouTube, Sugg has a legion of over 25 million fans on social media. 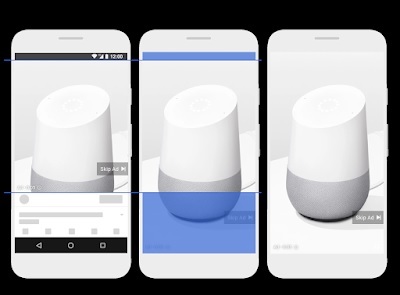 80% of people would rather watch a live video than read a blog, a voice search is increasingly in demand, according to new research looking into the technology that will shape the future of the content marketing industry. 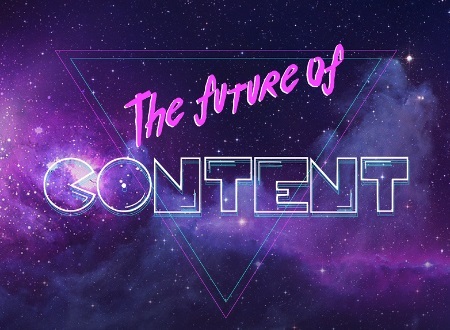 The whitepaper by Kaizen identifies the three forms of content that will form the future: video, immersive and added value. 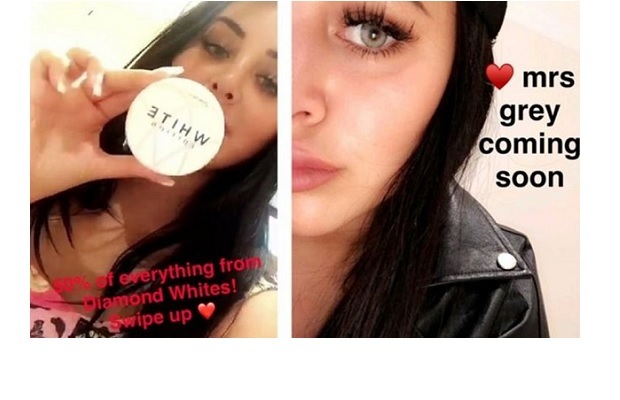 In a stark warning to brands looking to harness the power of influencer marketing, industry watchdog CMA is investigating celebrities and social media influencers for failing to disclose brand deals, as influencer marketing becomes more popular way of brands reaching audiences. The CMA said it has seen examples of posts which appear to promote or endorse products without clearly stating if the post has been paid for. Facebook has been losing US users over the last two years as they flock to rival services such as YouTube, according to research from SimilarWeb. 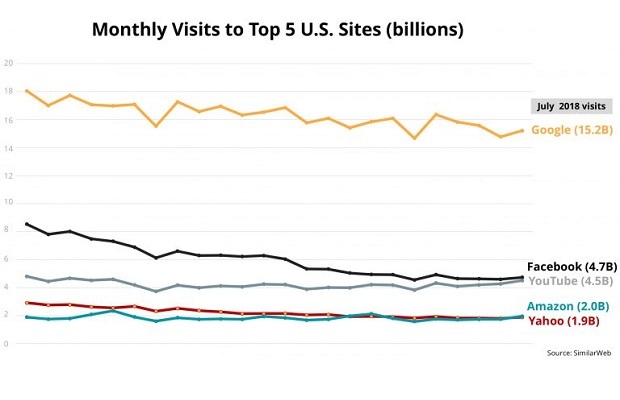 There was a decrease of 3.8 billion visits over the last two years. While its mobile numbers have increased dramatically over the last 24 months, the report found this increase was not enough to cancel out the overall fall in viewers. SimilarWeb found that, by contrast, YouTube is picking up younger viewers who don’t want Facebook. However, Facebook’s other major social networks WhatsApp and are continuing to grow. It also has its own messenger app which counts users separately from traffic to the main page. Instagram’s Android users now average 56 minutes a day on the app, up from 27 minutes a year ago. 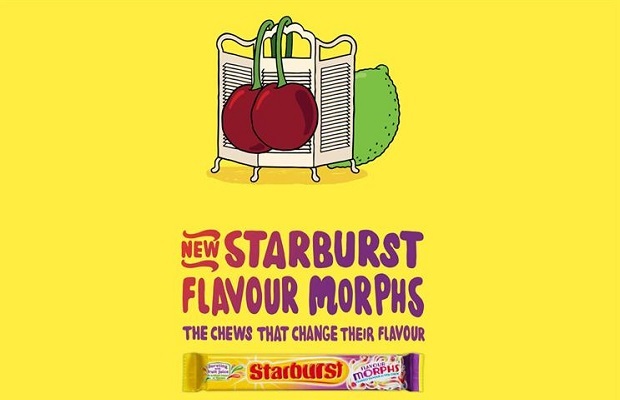 Brand safety was in the limelight once again last month, when Mars removed all advertising from YouTube after the confectionery firm’s ads appeared alongside drill music videos on the streaming platform, which was linked to violent crime in London. The move came after a pre-roll advert appeared before a video featuring the Moscow17 collective, whose member Incognito was stabbed to death in south London. Mars said it was “unacceptable” for its adverts to appear next to such videos and that it would be working with Google to “understand what went wrong”. Moscow17 are part of the drill music scene and their videos get hundreds of thousands of views on the YouTube video sharing platform. Earlier this year, YouTube announced that they had deleted more than half of the music videos considered to be ‘violent’, with police specifically singling out ‘drill music’ for ‘promoting gang violence’. Videos were then reposted on YouTube in protest. ITV’s Love Island was the reality show success story of the summer. New research uncovers which brands benefited from the TV series, indicating that official sponsorship was not the only route to success. This year’s Love Island saw ITV working with more brands than ever before, with ten brands including Superdrug, Lucozade and Kellogg’s officially getting in on the action. 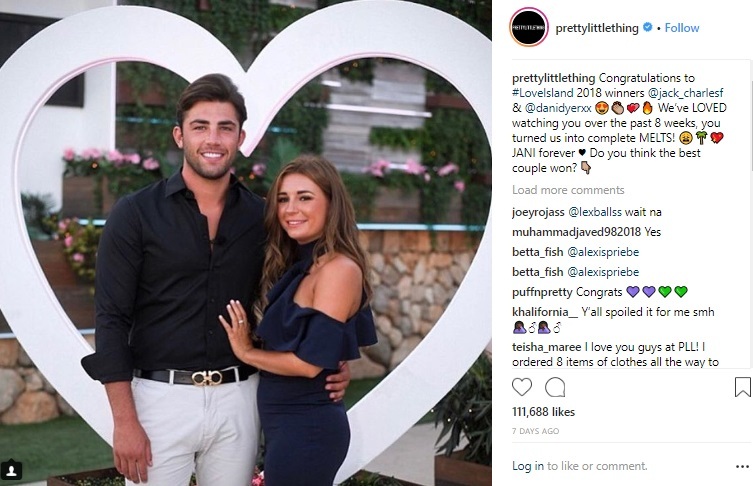 But it’s not just those officially working with ITV who can make huge marketing gains from the show – in fact, some of the most successful brands interacting with this year’s Love Island weren’t working directly with ITV at all- instead using smart social media tactics. New data from social media marketing firm Socialbakers gives a breakdown of the brand winners this series.